Manchester United have identified two potential replacements for David De Gea. Talks over a new contract for the Spanish custodian seem to have reached a standstill, as his representatives continue to demand astronomical wages for the player. While Manchester United are prepared to make De Gea the highest paid goalkeeper in the world, they are simply unwilling to give in to his representatives’ demands, which would effectively make David the highest paid player at the club. Therefore, the 28-year-old’s departure from Old Trafford is very much on the cards, especially with the likes of Paris Saint-Germain and Real Madrid said to be interested in securing his services. Manchester United have begun preparing for their star man’s exit, as The Sun reports that the club has already identified two potential successors for the Spanish number 1. If De Gea does leave, the Red Devils will seek to replace him by pursuing Atletico Madrid shot-stopper Jan Oblak and Everton starlet Jordan Pickford. 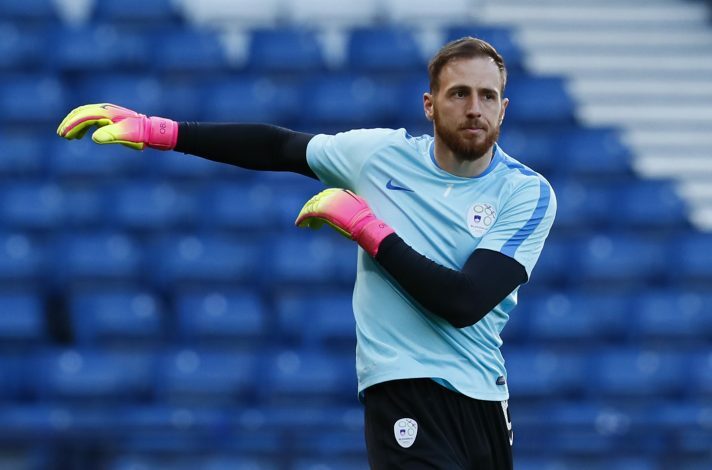 Oblak, considered one of the best goalkeepers in the world, will cost United a record-breaking fee of £86m, whereas Pickford, who recently established himself as England’s first choice in goal, would be available for £50m. The Mancunian giants supposedly prefer to hold onto De Gea until the expiry of his current deal, but that would see him leave on a free transfer in the summer of 2020, instead of a mammoth fee that he would certainly command if he leaves at the end of the ongoing campaign.